It’s a cold day in Melbourne today, so there’s nothing better than a delicious & comforting than a bowl of soup for lunch. This has fast become another favorite of mine. I tweaked this recipe from one I found on the Thermomix Recipe Community. 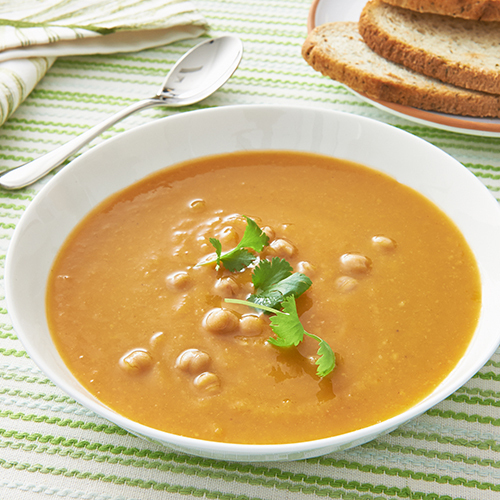 I loved the flavours, but the texture was different, as the original recipe pureed the chickpeas into the soup. I thought I’d have a play with the recipe & leave the chickpeas whole, which I really liked. You can make a vegetarian version of this by substituting the stock paste from chicken to vegetable. If you don’t have time to dry roast & mill the spice seeds, see notes at the end of the recipe. 1) Place dried spices in TM bowl, dry roast for 3 minutes/100 degrees/speed 1 (MC off). Replace MC, then mill spices 40 seconds/speed 9, set aside. 2) Without cleaning the TM bowl, add onion & garlic. Chop 3 seconds/speed 5. 3) Add oil, cook 3 minutes/100 degrees/speed 1. Add the reserved spices, cook 1 minute/100 degrees/speed 1. 4) Add sweet potato & carrot. Chop 5 seconds/speed 5. 5) Scrape down sides of bowl, add water & stock, cook 25 minutes/100 degrees/speed 1. 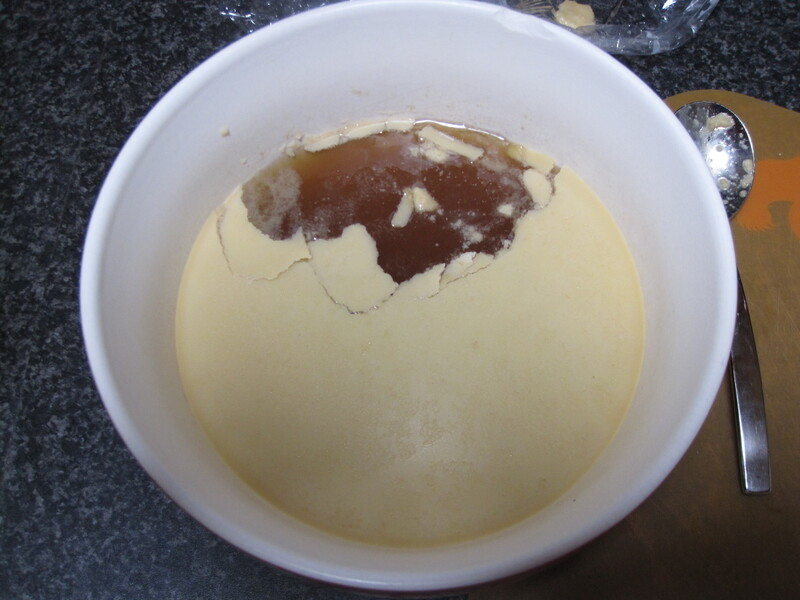 6) Puree the soup for 1 minute/speed 9 (gradually increasing the speed from speed 5 to speed 9). 7) Add drained chickpeas, cook for 5 minutes/100 degrees/reverse/speed 1. 8) Top with coriander & serve. This is also lovely topped with a tablespoon of natural yoghurt. If you’re in a hurry or don’t have spice seeds, you can skip step 1. Just add 2 tsp ground cumin & 1 tsp ground coriander with the oil in step 3. This still tastes nice (I’ve made it both ways), but dry roasting & milling the spice seeds, adds much more flavour. One of my lovely customers sent me this recipe last year. She’s a fan of Pea & Ham soup & had tried making a few recipes, but wasn’t 100% happy with the results. So, she decided to make her own recipe, by blending a number of recipes together to get the result she was after. I first made this late last year, and was so excited to be able to share it with everyone this winter. The cooking time is considerable for a soup, so it’s not a soup to make if you’re after a quick & easy meal. 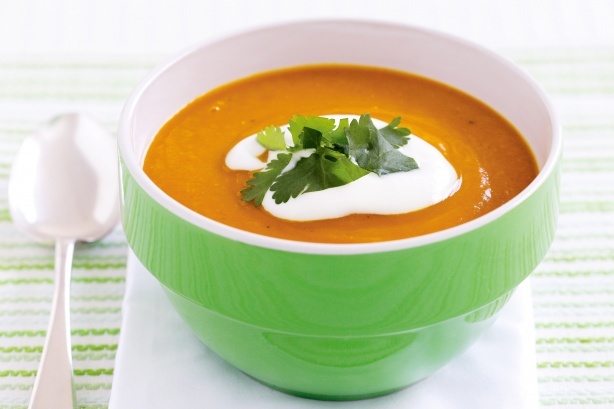 However, if you’re a fan of this classic soup, you’re sure to love this recipe! Thank you for the recipe Sharon Wilson! 1) Place onion, garlic & leek into TM bowl, chop 5 seconds/speed 5. Scrape down sides of the bowl. 2) Add oil, cook 5 minutes/Varoma or 120 degrees/speed 1 (MC lid off). 3) Add roughly chopped carrot, celery & potato. Chop 5 seconds/speed 5. Scrape down sides of the bowl. 4) Add water, stock paste, split peas & pepper to TM bowl. 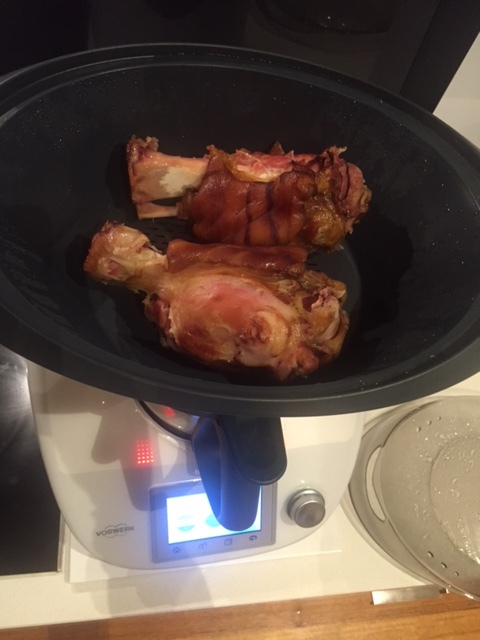 Place ham hocks into the Varoma dish & place into position. 5) Cook 60 minutes/Varoma/speed 1. 6) Remove Varoma dish & set aside. Replace MC into bowl lid. Puree soup for 1 minute/speed 9 – Gradually increasing speed from speed 5 to 9. 7) Using a knife & fork, remove cooked ham from the bones & discard bones, skin & fat. 8) Chop/shred ham into small pieces & add to soup. Mix 20 seconds/reverse/speed 2. Serve & enjoy! Suitable to freeze too. 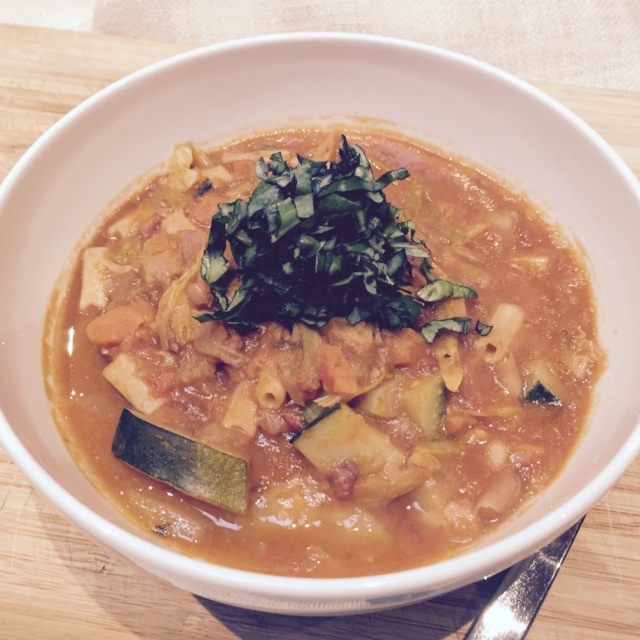 I made this soup last week & honestly, it is amazing! I’ve adapted the recipe from Donna Hay. The original recipe used black beans, which I couldn’t find at my supermarket, so I used red kidney beans instead. I can imagine any beans or pulses would work in this soup. Of course I love the fact my Thermomix cooks the soup & then purees in the same bowl! The soup was delicious like I’ve made it in this recipe, but if you served this to guests for an entree, you could really impress with a tweak to the presentation. 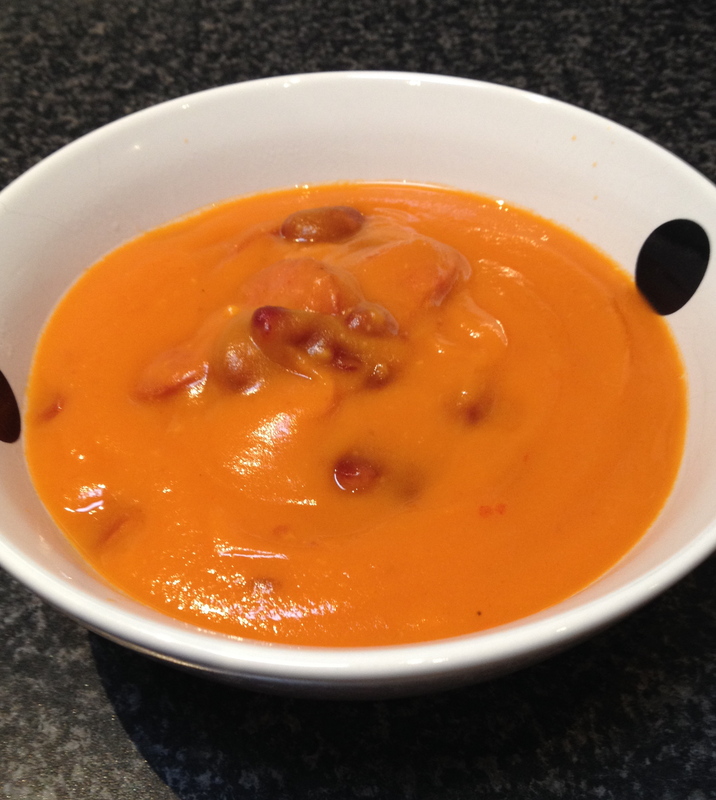 Instead of adding the chorizo & garlic mixture to the soup in step 6, serve the soup & top with the chorizo & garlic, then drizzle with extra olive oil. 1) Place garlic in TM bowl, chop 3 seconds/speed 7. Scrape down sides of bowl. 2) Add chorizo & oil to TM bowl, cook 6 minutes/Varoma temperature/reverse/speed 2. Set aside. 3) Without cleaning TM bowl, add pumpkin, chop 8 seconds/speed 5. 4) Add tomatoes, stock paste, water, salt & pepper. Cook 12 minutes/ 100 degrees/ speed 1. 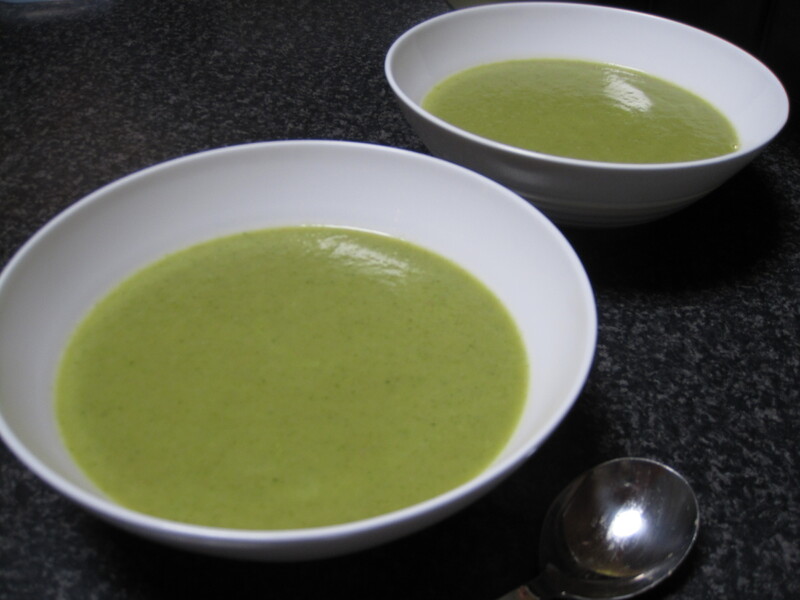 5) Puree soup 1 minute/speed 9 – gradually increasing the dial to speed 9. 6) Add chorizo mixture & kidney beans. Cook 2 minutes/100 degrees/ reverse/speed 1. Follow this link to make Chicken Stock Paste. This soup can be made with vegetable stock paste or any store bought stock/powder, if you prefer. For years now, I have torn out recipes that I find appealing in magazines & file them in one of two folders – sweet & savoury. I decided to have a look through my savoury folder recently & came across this recipe. It instantly appealed to me, as it must’ve done when I first ripped it out from a magazine years ago. I’m not even sure where it’s from – either an old Donna Hay or Delicious. I love prosciutto & any cured meats for that matter. I also had some home made chicken stock, from the Healthy ‘Roast’ Chicken I’d made the night before, which I thought would make a delicious soup. This soup has amazing flavours if made with real stock, but it’s still lovely made with stock concentrate. 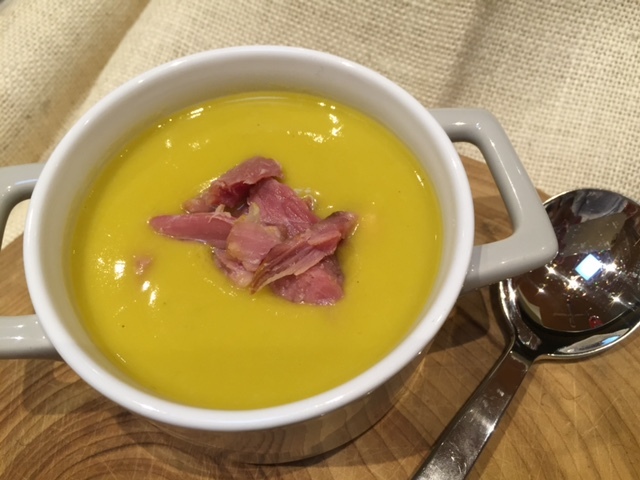 I’ve added some notes on dressing this soup up to impress for a dinner party too! 3) Add roughly chopped zucchini. Chop 10 seconds/speed 6. 5) Puree 1 minute/speed 9 – gradually increasing dial to speed 9. 6) Season with pepper to taste. Due to the saltiness of the prosciutto, you won’t need to add much, if any salt. You can garnish the soup with extra prosciutto & zucchini ribbons. Using potato peeler, make ribbon slices with an extra zucchini. Heat a char grill or frying pan on high. Toss zucchini & prosciutto with extra olive oil & char grill 2 minutes each side, until golden. I made a Healthy ‘Roast’ Chicken during the week & keep the water left over from steaming the chicken, which also contains the juices from the chicken, making the most delicious chicken stock. Keep this in the fridge overnight & the fat will solidify on top of the stock. Simply remove the fat (see below) & the stock is ready to use. It can be a little gelatinous, but will become liquid with heating. As winter approaches, I’m loving that I can make lots of soups again. This soup requires very little preparation & takes just over 15 minutes to cook. The whole family will love this & it is very satisfying, so can easily be served as a main meal, even for the big eaters! It also freezes really well. This time of year I’ll usually have a few portions in the freezer, for nights when I don’t want to cook or for a quick & easy lunch. 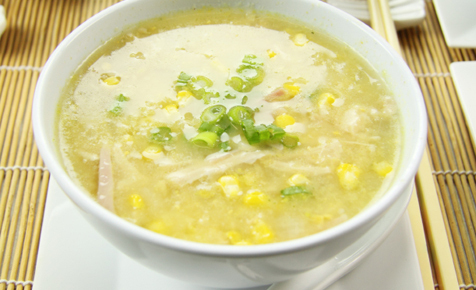 Feel free to add more chicken for a thicker consistency or you can also add an additional can of creamed corn for a sweeter soup. Personally, I love it like this…. 1) Cut chicken into large pieces & place in TM bowl. Add 1 litre cold water (ensuring chicken is covered) & cook 6 minutes/100 degrees/speed 1. 2) Remove any scum floating on top of the liquid. 3) Shred the chicken/water mixture 10 seconds/speed 6. 4) Add stock concentrate, a splash or soy or tamari & the creamed corn. Mix 15 seconds/speed 3. 5) Cook 8 minutes/100 degrees/ speed 2. Add the egg through the hole in the lid & cook for 2 minutes/100 degrees/speed 2. 6) Serve topped with spring onions.